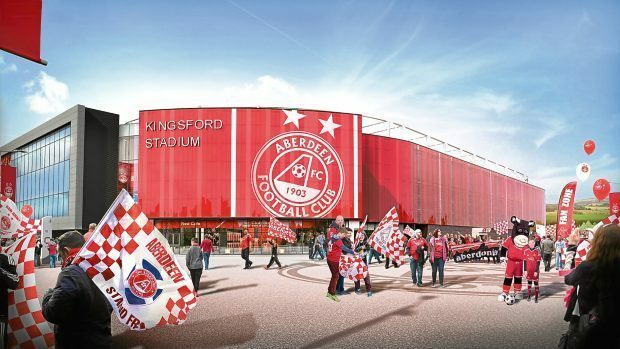 No Kingsford Stadium (NKS) has condemned Aberdeen FC’s proposal to use dozens of shuttle buses to take fans to and from the £50 million stadium on match days. The transport plan submitted by the club identifies potential bus routes running from the city centre, Dyce and Kingswells. About 70 return journeys will be needed for each fixture, with this number rising to around 100 when the Dons face Old Firm rivals Celtic or Rangers. The club says the scheme was “rigorously interrogated” and approved by Aberdeen City Council, but NKS has argued that it is unworkable and will likely “run to many hundreds of thousands of pounds”. 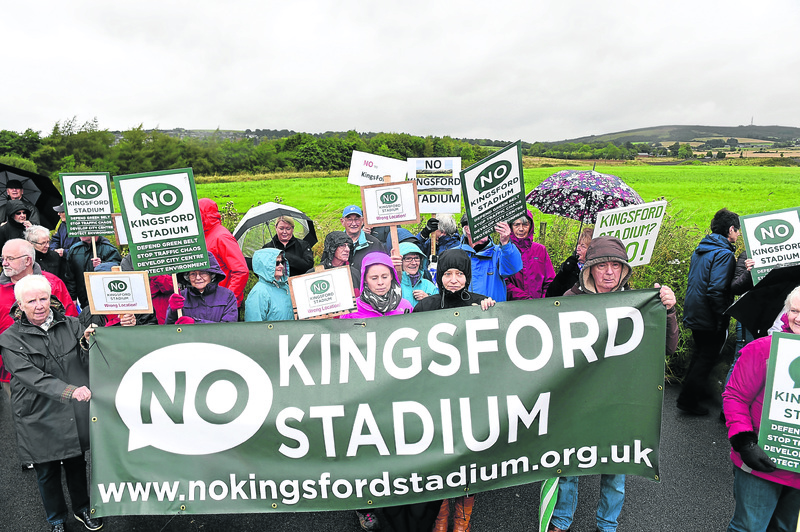 No Kingsford Stadium supporters protested while Aberdeen City councillors visited the proposed stadium site between Westhill and Kingswells ahead of the planning decision. And later this month, NKS will appear at the Court of Session in Edinburgh for a three-day hearing in an attempt to halt construction at Kingsford. The group argues that the process used to grant planning permission for the stadium was flawed and the decision should be overturned. While work has begun on the first phase of the development, which includes training facilities, construction of the second stage – the stadium itself – is dependent on the outcome of the judicial review. Raymond Edgar, Kingsford Stadium project director, said: “The shuttle bus proposals are part of an integrated transport strategy that was rigorously interrogated and ultimately approved by the council’s transportation, roads and planning departments and also the councillors. “It is in the club’s and fans’ interests to have a stadium which is easy to get to and from. “This has all been explored as part of the approved planning application.